"The fun of adventuring is finding out for yourself." And so begins Disney's latest Digicomic app for the iPhone, iPod Touch and iPad, which offers some clever insight for gamers chomping at the bit for the new Epic Mickey game for the Wii console coming out on November 30. The app contains character profiles and digital comic book stories about the Wasteland, the magical world created by Fantasia's sorcerer Yen Sid that contains all the lost and forgotten ideas in Disney history. 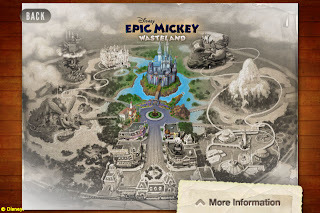 Wasteland is an off-kilter Magic Kingdom, presided over by Oswald the Lucky Rabbit, Disney's first cartoon star. 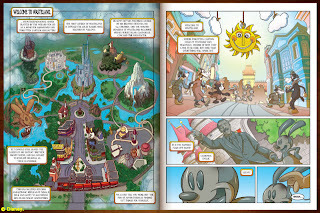 Oswald is a content resident of Wasteland, but he harbors a deep resentment towards Mickey Mouse, who had the amazing career Oswald believes he was entitled to. Oswald has 420 children, all named Oswald. Oswald's lady love is Ortensia, who looks an awful lot like Dot from Animaniacs. No word if she's the baby mama of the 420 kids. 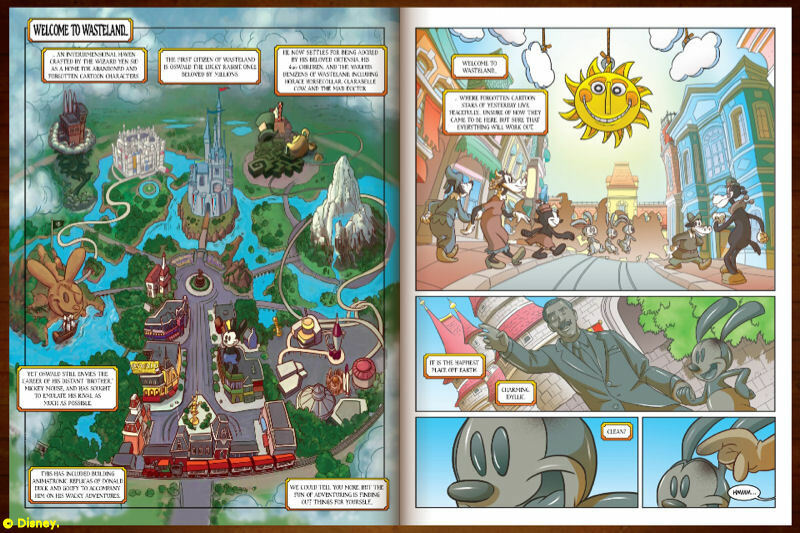 Oswald's best buddies are Goofy and Donald Duck. Not the original characters, mind you, but Audio-Animatronic copies. Oswald's feet detach from his body and can be rubbed together for luck. His head and hands detach too. Not sure how lucky that is. Horace Horsecollar is a private investigator for the Neighsayer Detective Agency in Wasteland. Clarabelle Cow and the Mad Doctor run the Misadventurers Club, a tribute to Walt Disney World's now defunct Adventurers Club. Kungaloosh! Wasteland's Haunted Mansion equivalent is called Lonesome Manor. It's named for the 1937 Mickey Mouse cartoon Lonesome Ghosts. The It's a Small World clock tower in Wasteland gets annoyed having to play the same music over and over again (just like real life, we suspect). 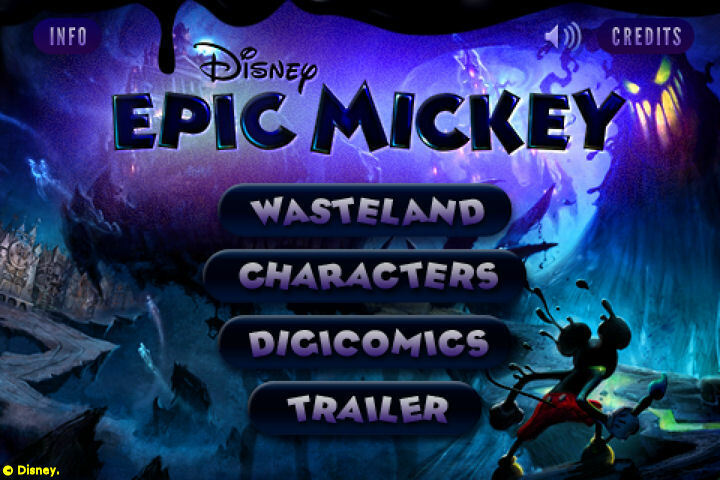 The Disney Epic Mickey Digicomics app is free and includes one comic book story. Five additional comics can be purchased for $2.99.